Cook corn in microwave according to package directions. Set package aside without opening. 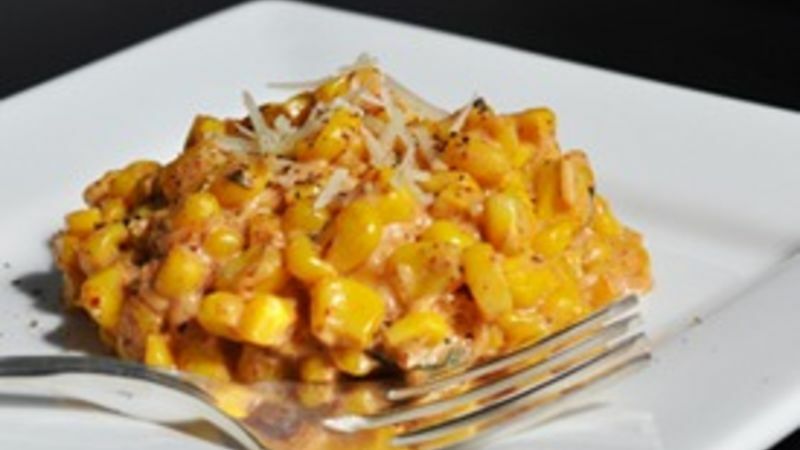 In a small microwave-safe bowl or mug, mix all ingredients except corn. Microwave on high for 30 seconds (until warm and creamy). Open frozen corn package carefully and pour corn into a serving bowl. Pour sour-cream mixture over corn and mix to blend thoroughly. Garnish with more grated Parmesan cheese, if desired. Serve immediately.